Tracey O’Neill at New Generation Portraits is a Family and Boudoir Photographer based in the Wirral. 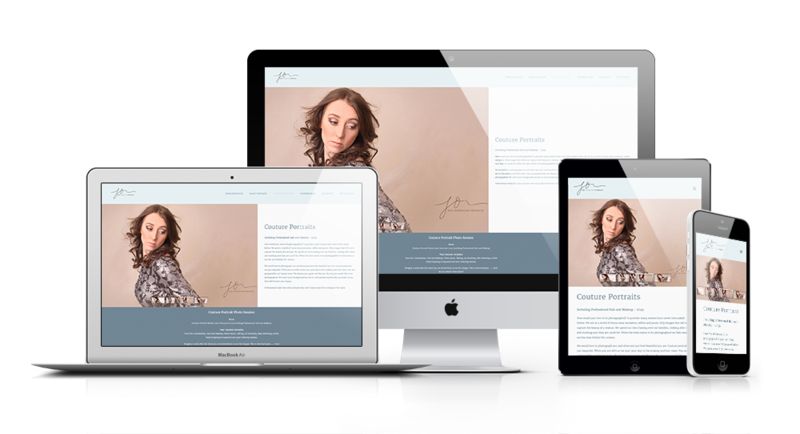 Our task was to create an up to date and modern website, which showcases both sides of her business. This presented a little challenge, as the two sides of her business has a different target audience. After discussing this with Tracey, we decided to essentially split the website in half. One half for the Family side of the business, and the other for the Boudoir Photography. Both tie in nicely with shared branding, but are separated by differing menu systems and content. Tracey was also very keen to incorporate video into her website, so we integrated it with her YouTube Channel to allow it to auto update itself when new content is added. If you would like to get in touch with us about a design or print project – pop your details in the form below, along with a brief outline, and we will get back to you as soon as possible!